On each of the main license activation screens you will see a button 'Setup Proxy'. Clicking this button allows you to configure the Internet Proxy used to connect to the internet from your PC. This generic error indicates that the structure of the message is invalid. Ensure you have not missed part of the message when it was pasted it. If you are sure the message is intact then send it to support. 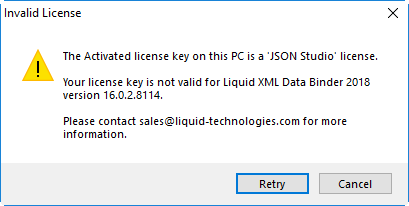 You will typically see this error if you have an invalid license key. Please check you typed it in to the software correctly. 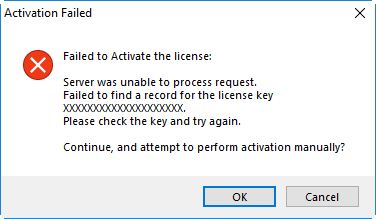 This error indicates that the license key is not valid for the product you are trying to activate. Please make sure the license is for the correct major version of the correct product. 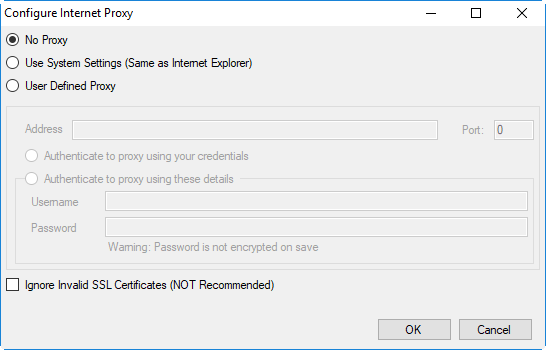 This may be due to incorrect proxy settings or restrictions of your network.